Well as the title says, this won't be anything flashy or groundbreaking. I've honestly got the jeep mostly to where I want it. I do have a set of superduty axles I will likely throw under it at some point but I don't see that happening any time soon. This is more so just a log to track it's progress and document my adventures since I tend to break phones often and don't want to lose any pictures. I will go straight into the run down of where it sits today and follow it up with some pictures. I think that wraps it up, no major plans other than some small stuff currently. I've got a Bundy trip planned for April and back-to-back Silver Lake trips in June for Jeep Invasion weekend. Last edited by Cool Hand Luke; March 8th, 2019 at 08:40 AM. 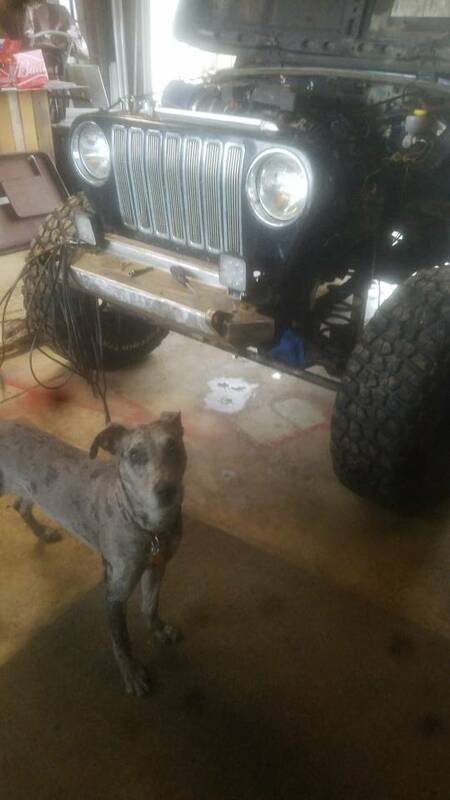 Yeah I know the Dana 30 is not ideal but I didnt invest the $2,500 or so in parts to build it. I've got 3 spare housings, and enough spare shafts and whatnot I'm not too concerned about it yet. Time will tell how well it holds up and like I said I've got a set of superduty axles I will probably put under it some day. Yeah definitely I understand it's limitations. I'm hoping to keep axle joints as fuses per say but not sure how the spicers will hold up vs everything else. The hydro assist helps turning those 35s so I'm hoping that will minimize some damage as well. Exactly I don't have hardly anything into it might as well run it for now. 36 iroks measure bigger than their 37s too these are a hair smaller but I've got more power. The internet will always tell you to be 1 tons and done with it but with my work I don't have much vacation so I rarely leave Mi to wheel. I think for what I'll be seeing I can make the 30 live for awhile at least. Sweet Build. 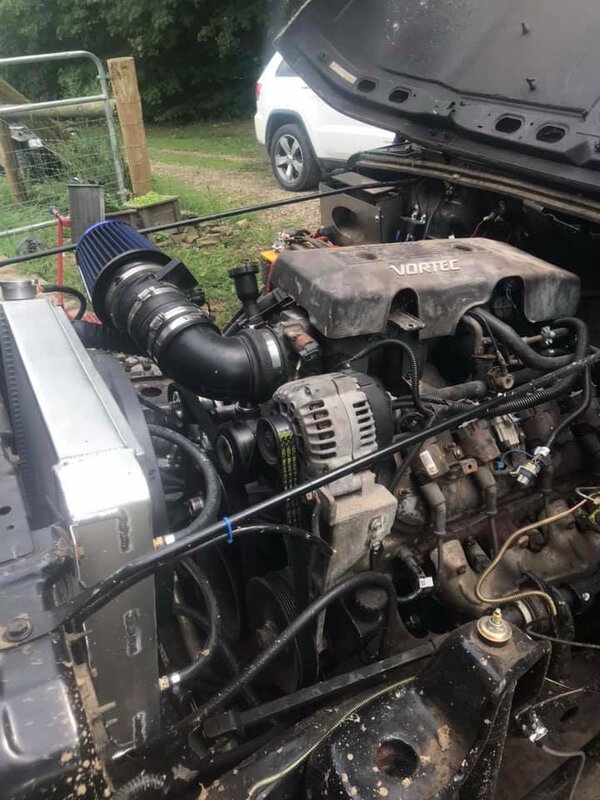 I did something similar 5.3 out of a 99, a built 700r4, 90 wrangler. I ran stock axles with 35s all summer and now im swapping axles out of a 79 f 250. Im curious on your kick down cable setup for the 700r4 and the throttle cable? how do you like the winters ratchet shifter? Sweet Jeep, I like it, simple, easy to the point. What part are you interested in most? I'll look I might have some pics on my laptop somewhere. Are you swapping axles due to breakage or just to upgrade? I swapped same axles into an old XJ I had I think theres a build thread on here somewhere.. So far I like the shifter. I think having a comfortable mounting location is a huge factor in that. I mounted it on top of an ammo can so I still have some storage too for all my spare Spicer joints and whatnot. I got a bit of time in the garage last night. Trying to clean up wiring a bit and figure out some sort of inner fenders to keep the engine bay clean. Anyone ever fabbed their own? I was supposed to get a replacement windshield in but apparently the Fed Ex guy didn't want to see an install on that.. I broke something never investigated had the axles to swap so I decided it was time. Im most curious about how you ran the tv cable?